Fountain pens can be intimidating at first. The endless brand choices, fountain pen anatomy, ink options, nib sizes….gah! Not to worry. 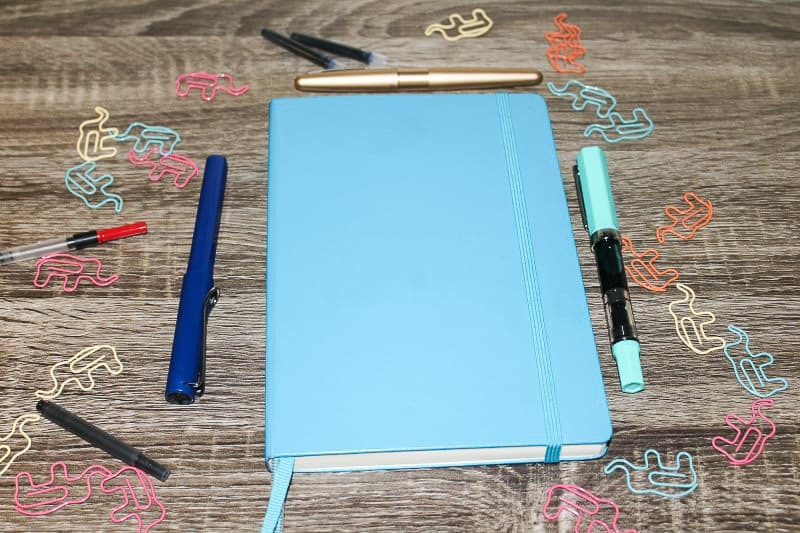 Elephant Erin is here to share her biggest tips for fountain pen beginners. Hey, everyone! Elephant Erin here. 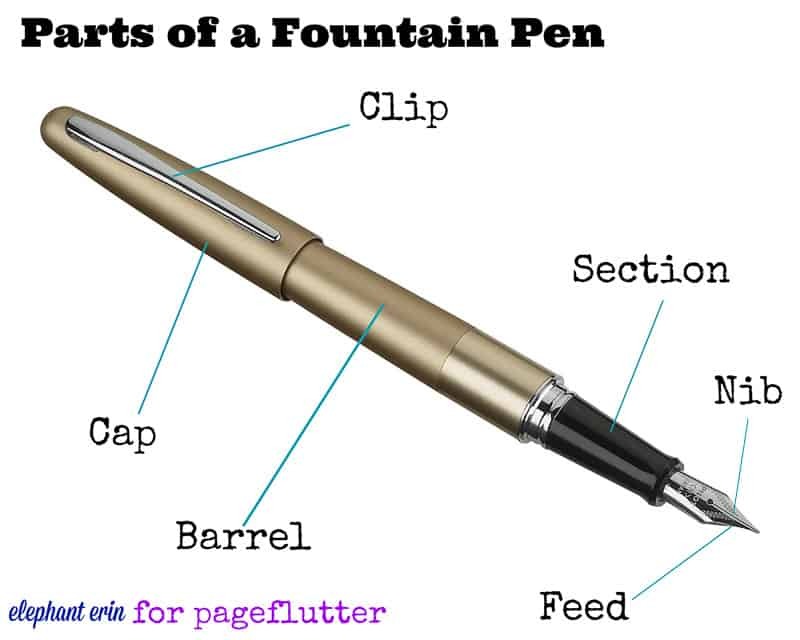 I’m excited to be back on Page Flutter sharing some fountain pens tips for you. 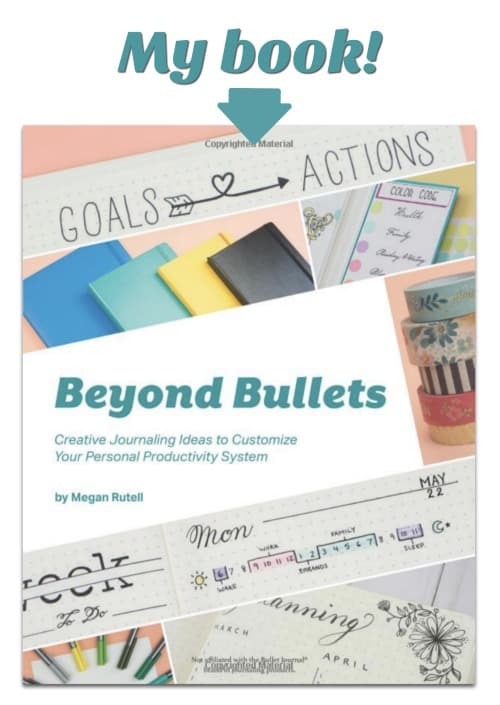 Scrolling through Pinterest I always see beautiful spreads with Bullet Journals and matching fountain pens beside them. For months, I was obsessed with looking at pens and ink colors on sites like J*B Welly and The Goulet Pen Co. Although I never seemed ready to make the purchase. But now, after a year as a fountain pen user, I want to help all the newbies out there so you can get the most out of your fountain pen. This post will also help you to decide which one is for you. Clip: A lot of fountain pens have these. I don’t really use it for its initial purpose of keeping it in a shirt pocket, but rather so it doesn’t roll off the table. Cap: A cap is a common feature of fountain pens. As with most pens, you have the option of putting it on the back of the pen while writing or setting it aside. Barrel: The home of your ink. 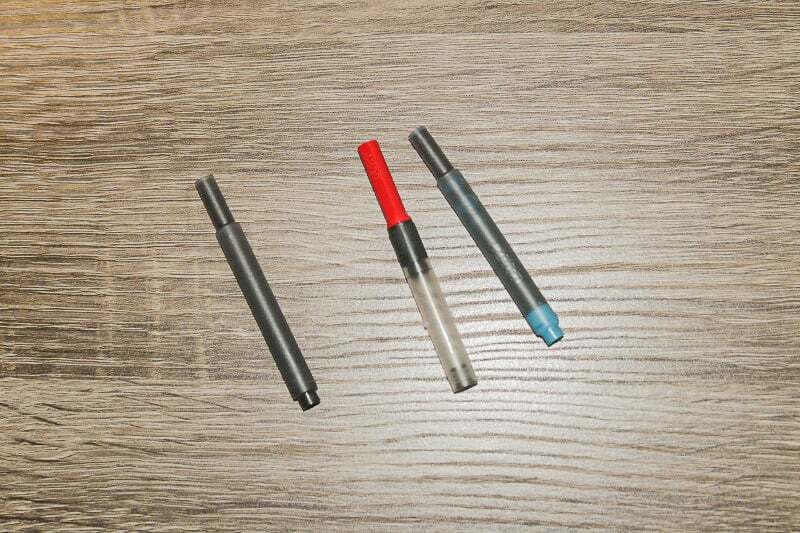 Most pens have the option of cartridges or bottled ink, and the barrel is where it is within the pen (also see cartridge and converter below). Section: The section varies from pen to pen, mostly because everyone has a different grip and holding position for pens. It’s important to find one that feels comfortable for you. Feed: This is the part on the backside of your nib, usually black soft plastic. It keeps your ink flowing smoothly out of your pen. Nib: The main part of your pen that makes it write so wonderfully. They come in a variety of sizes such as extra fine, fine, and medium. Many pens have the option of changing these out, so you can completely personalize your pen to your preferences. It’s not usually necessary, and totally up to the user. Cartridge (not pictured): A disposable ink refill. Converter (not pictured): Just like an ink cartridge, a converter holds the ink in your pen. However, it allows you to draw any ink straight into the pen through the nib. If you plan on using bottled ink, you may need a converter (unless the pen has one built in). They’re super comfortable to write with. During long writing sessions, fountain pens can save the aches and cramps you get with ballpoint pens and even gel pens. Some days I have 5 hours of class in a row, and if it wasn’t for fountain pens, I don’t know how I would ever get through it. There is a fountain pen out there for everyone! Every pen is unique in its own way — just like all of us. You can find your match based on color, weight, and price point. I go through ballpoint pens fairly quickly. Using fountain pens for note taking has been a serious game changer. I used to run out of my favorite ballpoint pens so quickly it felt like I was constantly buying them, but now using fountain pens has eliminated that need. They’re eco friendly. In our ecologically troubled world (full of hurricanes, earthquakes, and more), it’s nice to know that switching over from ball point pens to fountain pens can help reduce my waste. No need to be constantly throwing out the plastic pens when you can just ink it up. They’re cool to use. Whether you feel like a hipster or like you’re signing an important document, nothing beats the feeling of looking important. I love writing everything down, and fountain pens make my little notes more special. This might be just a me thing! 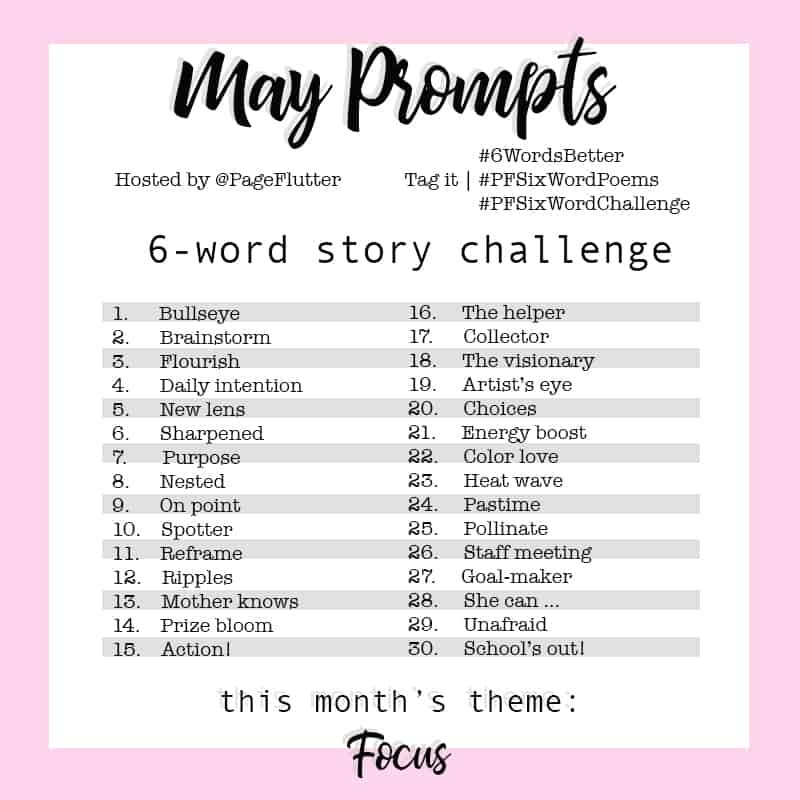 Now, for the fun part. Shopping for a pen! Keep scrolling to learn about my fountain pen picks for beginners. 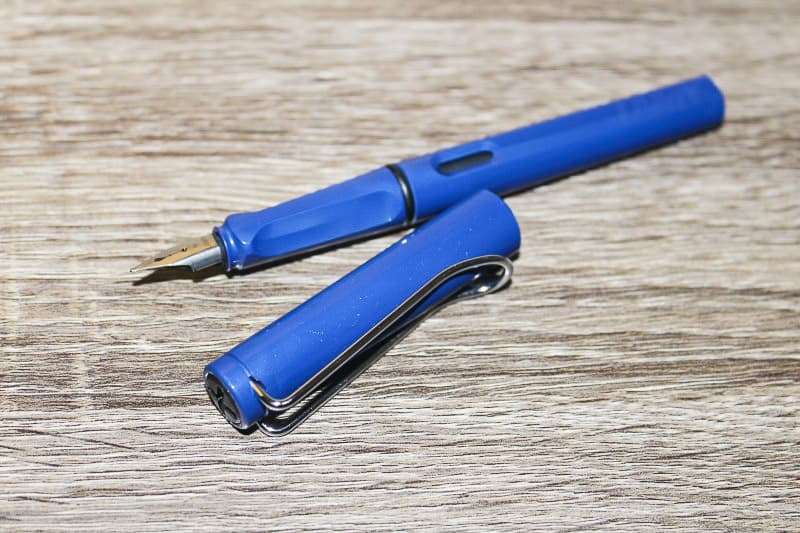 The Pilot Metropolitan, a necessity for any starter in the fountain pen community. They come in a large variety of colors, and different nib sizes. They’re also very durable so if you plan on letting it fall down a flight of stairs (like me. Whoops!) you know it’s going to last. Please be advised, I do not recommend testing this theory for yourself. It’s just nice to know! If you’re looking for a bargain, check out Amazon. They also have packs of cartridges for only a few bucks. They are also available on J*B Welly, which has awesome customer service. The Metropolitan has been my go-to for quite some time now. The ink cartridges last even when I’m writing a ton, and the ink colors perfectly match the body of most of the pens. If you’re a geek like me, this will definitely make you happy! 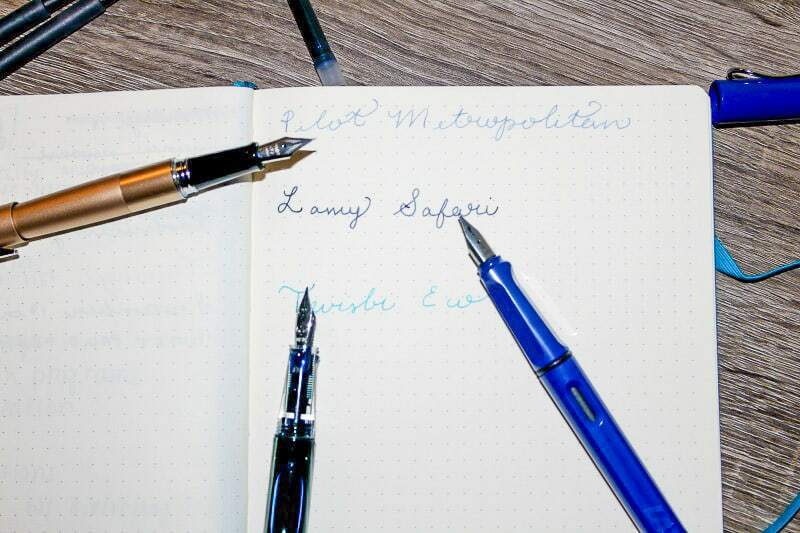 The Lamy Safari is (in my opinion) the next step up from the Pilot Metropolitan. It’s light and also very durable since it is made out of a hard plastic. I love to throw this fountain pen in my purse for day-to-day use. I have to say this is my favorite fountain pen that I own. This pen takes cartridges, but a converter can be bought for a small fee to use bottled ink. I purchased my Lamy in a gift set version from Amazon and it came with all the ink cartridge colors and the converter. J*B Welly also has a huge variety of the Lamy Safari as well as the cartridges, the converter, and replacement nibs. I highly recommend picking up one of these. 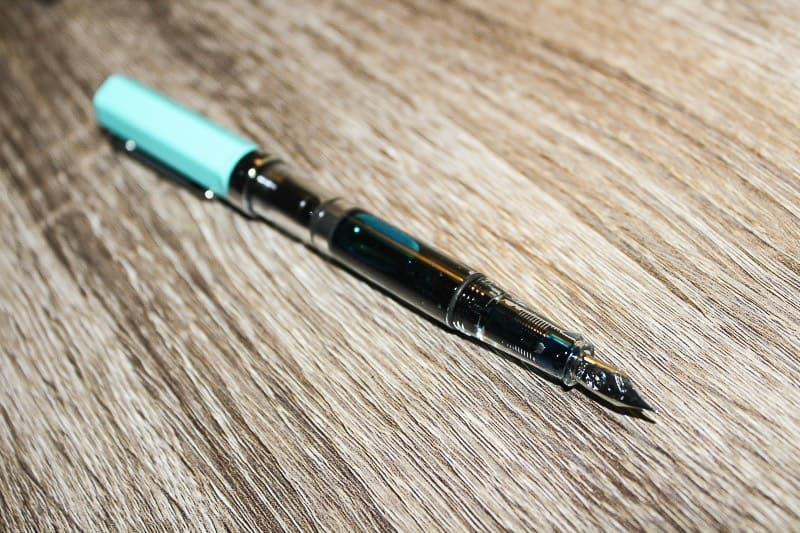 The third pen I own is the Twisbi eco in turquoise. I really like this pen, mainly for the price point. Twisbi pens tend to be a bit pricier, but they came out with an economical version, and I had to buy it. It currently runs for around $30. It’s a demonstrator pen which means the barrel of the pen is clear and the ink can be seen. This also means that cartridges are not an option for this pen. If you’re looking to invest and spend slightly more for a good all around pen, I highly recommend the Twisbi eco. It can be found on Amazon and also Goulet Pens. These are all really great pens to start with. Anyone looking into starting to use fountain pens will be pleased with the quality of these pens for such a great price. I love fountain pens and hope you will, too! Do you have a favorite fountain pen or brand? Comment below with your questions on these pens, or share your pearls of fountain pen wisdom! My favorite fountain pens are the Pilot Kakuno and the Pilot fountain pen with ergo grip, in extra fine or penship style! Did you know that the regular (royal blue) Lamy ink is erasable? You need an eraser pen, but it costs next to nothing. I love it! I never knew that! Amazing. I’m going to break out some of my Lamy blue and try it now. Goulet Pens also has ink Hypodermics that you can use to clean out old Metropolitan cartridges and refill them with any bottle ink you want. I have been using fountain pens a long time and the Metropolitan is really one of my go to pens. Great tip, Cynthia! I completely agree with you on the Metropolitan. I have much more expensive pens, but I still reach for it all the time. My favourite fountain pen was a gift. It is a Shaeffer lifetime vintage pen. I also have a Blackbird flex nib which is great. I have so many pens! I just got my first flex nib, and it’s a complete game-changer (a Noodler’s Konrad). Takes some getting used to, but I love it!